Hospital takes complete approach to stroke rehabilitation. Charles Wilson prefers to stay busy. He loved his career in the advertising business, where he specialized in political campaigns and once took an active role in local politics, serving on the Vero Beach City Council and the Imagine Charter Schools School Board. Charles was especially busy during the 2016 election cycle, but his health eventually caught up with him. “During that election, I worked six campaigns and had several employees working with me,” he relates. “We were all running around under very stressful conditions. Charles continued to feel poorly, however, and about two days after having that conversation, he agreed to let his companion take him to his personal physician. The doctor was immediately concerned with Charles’ appearance. “He took one look and told me to close my eyes and raise my arms,” remembers Charles. “Then he told me to open my eyes, and I saw that only one of my arms was up. The doctor told me to get in the car, go directly to the hospital and don’t stop. Charles was stabilized at the hospital when a social worker came into his room and asked him about going to HealthSouth Treasure Coast Rehabilitation Hospital in Vero Beach. He agreed. The nurses then put Charles in an ambulance that took him to HealthSouth. “When I got there, I could not see clearly and had severe vertigo, so everything looked like I was seeing it through a kaleidoscope,” recalls Charles. “Even though I suffered brain damage and couldn’t walk or see, the HealthSouth staff got me on the rehab schedule very quickly. Stroke is an important diagnosis at HealthSouth. Acute rehabilitation, which is provided there, is essential for stroke survivors to overcome the many changes and challenges that come with a stroke diagnosis. Dawn Bucaj, RN, BSN, senior rehab liaison at HealthSouth, points to studies that show the benefits of an acute level of rehabilitation. These studies indicate that 80 percent of stroke survivors who receive this level of rehab are able to return home and to their previous level of functioning. “About two years ago, the American Heart Association released new recommendations for care following stroke,” she notes. “The AHA now recommends that all adults diagnosed with stroke, mini stroke or any type of brain attack should receive acute rehabilitation services. “HealthSouth is the only facility in the area that offers that level of care. We are stroke certified by the Joint Commission, which accredits health care organizations, and we are a certified Stroke Center of Excellence. We achieved that distinction through our excellent patient outcomes and satisfaction, and our ability to get patients back into the community. HealthSouth is a rehabilitation hospital, so it provides a higher level of care than typical rehabilitation centers and nursing homes. As a hospital, HealthSouth provides daily visits by two physicians and round-the-clock certified registered nursing care. Patients also work with experienced therapists who guide them toward their goals and prepare them for returning home. “HealthSouth’s higher level of care, including rehab with skilled physical and occupational therapists, is only one component of our complete approach to stroke rehabilitation,” asserts Dawn. 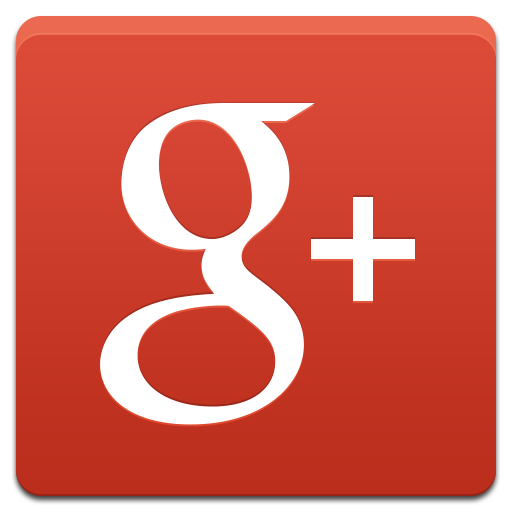 “The other is our use of specialized, state-of the-art technology. The Bioness NESS L300 is a small device worn on the lower leg. It has a sensor pad that detects walking patterns and allows the patient to automatically adjust to different surfaces, walking speeds and uneven ground. The Bioness NESS H200 is a device that uses mild electrical stimulation to re-teach the muscles of the arm and hand for use in daily activities. VitaStim Therapy uses an electrical current to recruit and strengthen throat muscles to improve a patient’s swallowing ability. “Our patients deserve this level of care, and HealthSouth is the only provider on the Treasure Coast that provides it,” states Dawn. Charles points out that the physicians, nurses and therapists at HealthSouth took exceptionally good care of him while he was there. He believes their consistent, specialized attention aided his recovery. The complete approach to stroke rehabilitation at HealthSouth was very successful for Charles. He’s become one of those stroke survivors who were able to return to pre-stroke levels of function. “Today, I’m ninety-nine percent recovered,” he reports. “Everybody looks at me and says, I can’t believe you even had a stroke. “I occasionally still use a cane to walk, but only occasionally, and my eyesight has returned to normal. I just have a few very minor, lingering issues I’m still working on, but for the most part, I’m back to being active. I cannot tell you how grateful I am for the facility and personnel at HealthSouth. That’s not all Charles is doing to spread the message about stroke. Since he recovered nearly all his function with the help of acute rehabilitation at HealthSouth, Charles is sharing his experience with other stroke survivors and their families. 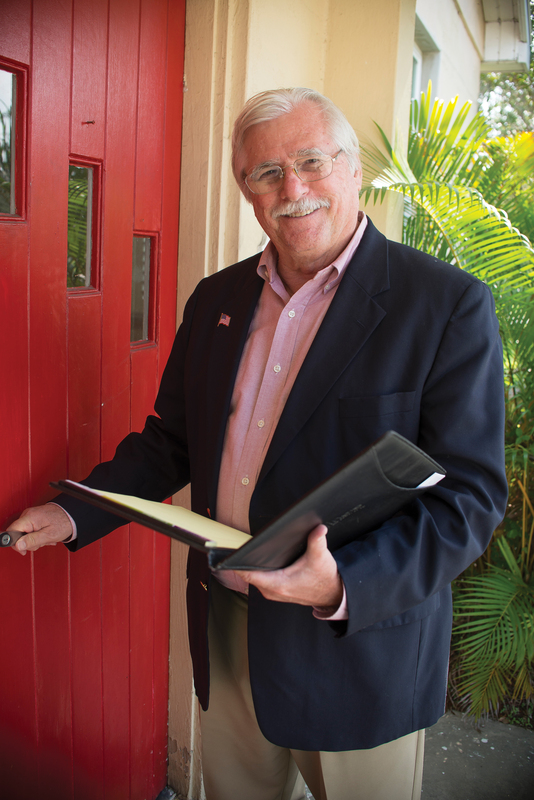 “As a result of my wonderful care at HealthSouth, I got involved and am now an organizer for the local stroke club, Stroke of Hope of Indian River County,” he explains. “Stroke of Hope also started an Ambassador’s Club, in which those of us who’ve recovered from strokes visit families of survivors and help them. Charles remembers that day in the hospital when he was asked about going to HealthSouth. He says he’s very glad he agreed to be taken there. 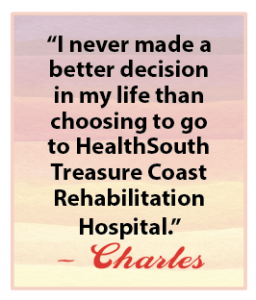 “I never made a better decision in my life than choosing to go to HealthSouth Treasure Coast Rehabilitation Hospital,” Charles states.